IRELAND . . .Seashells . . The sea view, shore birds and the scent of surf bring the background into the foreground, making space for my spirit to expand. 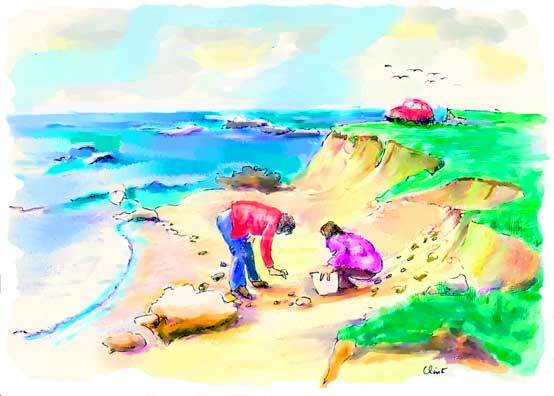 On the beach, I paint this couple collecting tiny shells to decorate wreaths and mirrors. They mention a nearby town named Ring where original Gaelic Irish is still spoken. I'd love to hear this disappearing tongue! ..... Im dog tired this morning, its hard work.